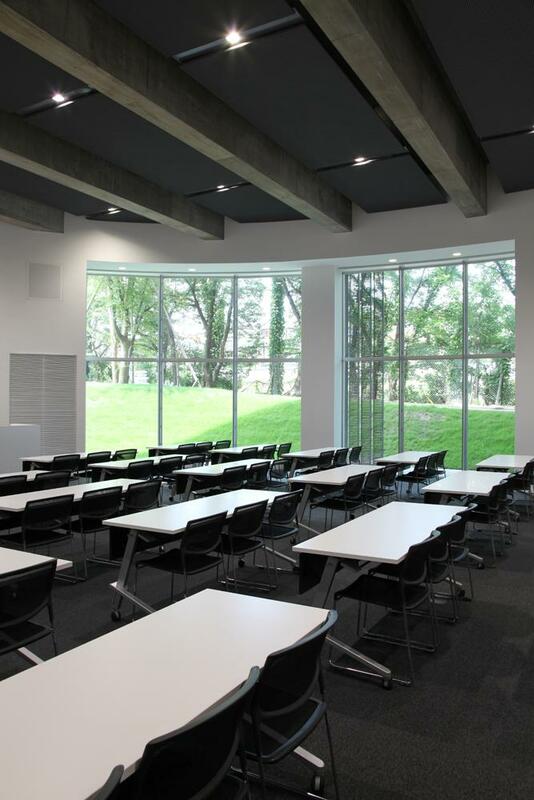 CTZ sets new standards in the design of flip-top tables for meeting, conference and training rooms. Designed by Taku Kumazawa to complement the DAYLIGHT stacking chair program. Winner of the Good Design Award in Japan, CTZ flip-top tables bring to the market features that enable anyone to use the table confidently at any time. CTZ flip-top tables incorporate straight line structural beauty with smooth operation and handling. The unique leg design was born in pursuit of function, strength and design using die cast aluminium to achieve high precision and a beautiful durable glossy finish. The CTZ Table base is certified by GECA as an environmental alternative. The patented synchro top mechanism of this CTZ flip-top table enables the leg stoppers to rise and lower within the height adjustable castors with the movement of the table top. Hooks are standard on both ends of the CTZ flip-top table on the upper column which are great for hanging handbags. With the top folded down, a basic storage shelf is created below. An optional cable management system and optional modesty panel is available for all three CTZ flip-top table widths and does not impair flipping the top or stacking. The parallel stack design enables the CTZ flip-top table legs to stack tightly together in a beautiful and compact way.